Wei Huang is Vice President for Acquisition and Asset Management at LT Global Investment. She brings a broad base of analytical experience and works on a range of project types, including urban infill, planned unit development, destination resort, brown field redevelopment, LEED development and large scale mixed use projects. Huang is familiar with various real estate investment tools and development structures and has over 10 years international real estate experience that includes China and Europe, as well as the United States. 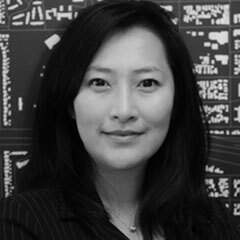 She has a Master’s degree from Harvard in Real Estate and Urban Development, a Master’s degree in Landscape Architecture from USC and a Bachelor’s degree from Tongji University in Shanghai.